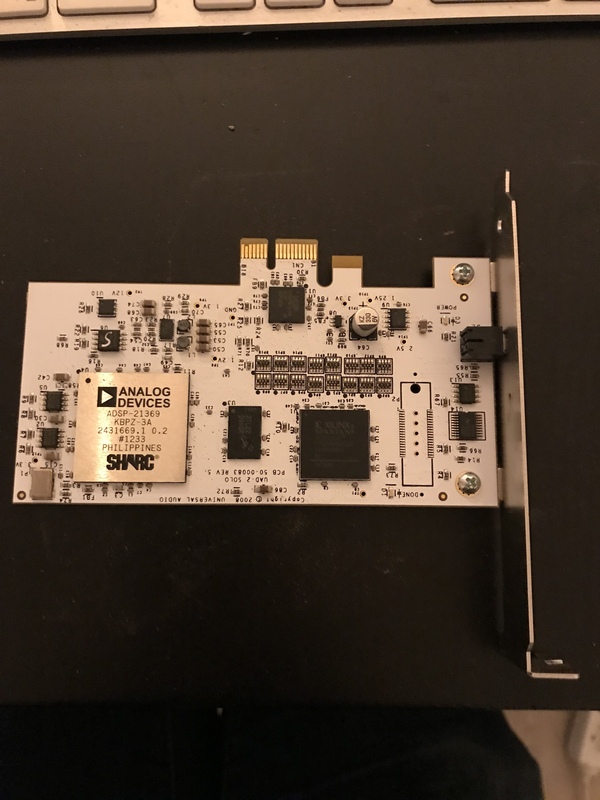 UAD-2 Solo, DSP Board from Universal Audio in the UAD-2 PCIe series. LoEnzo's review (This content has been automatically translated from French)" Great card!" 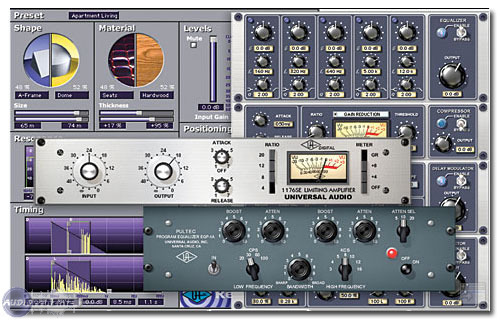 The primary motivation for my purchase was with that card I could save my CPU resource, but also the quality of these plug-ins intéressai me greatly! I made a recording session 8 tracks and I used only the UAD plug-ins about 15 with the card, compressors, EQ and reverb in one track FX. 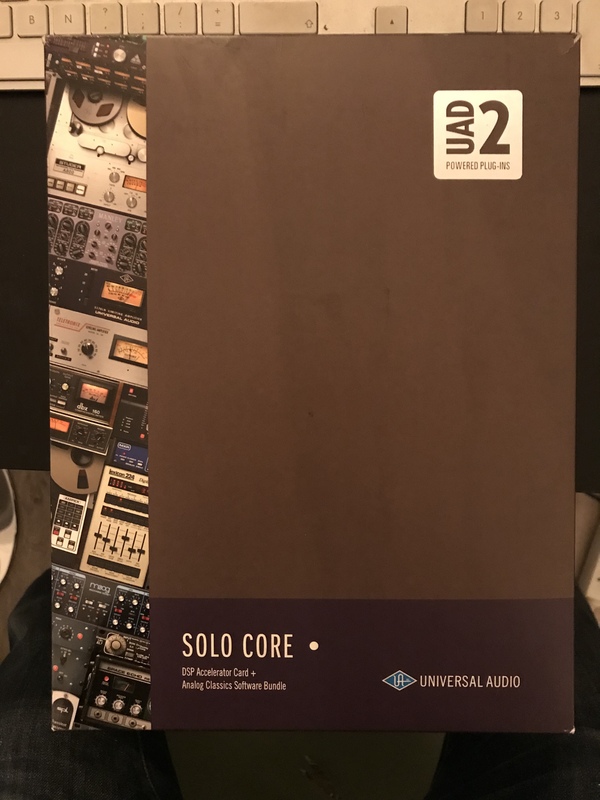 Of course, the UAD Solo and fairly limited but for the price we pay for and to be somewhat widely achieve beautiful mix if you can handle the power of the card. I seem to have used up to 21 plugs in a mix with a single card. At DSU there are often updated, I'm v7.01 ... No particular problems. Installation carefree, activation is done on the site in DSUs. I do not have internet on the PC studio but just copy the activation of the installation gives you and go on their website links. Then create an account if you do not have (it's required) and your account you can download the activation file. Configuration is very simple just follow the instructions. 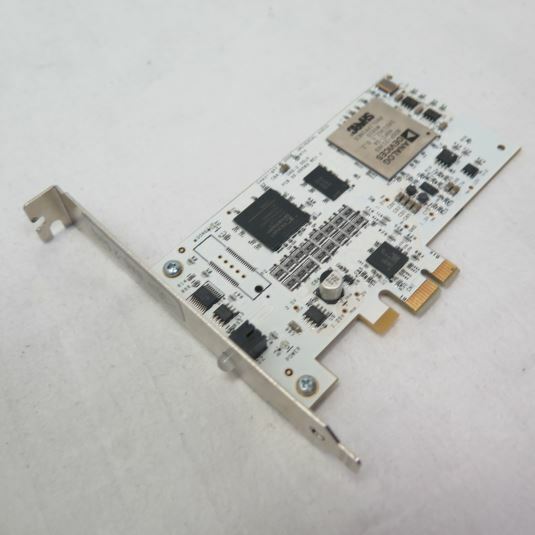 No problem of incompatibility for me with my P45 chipset ASUS motherboard. The particularity of this card: CA SONNE!! Terrible! 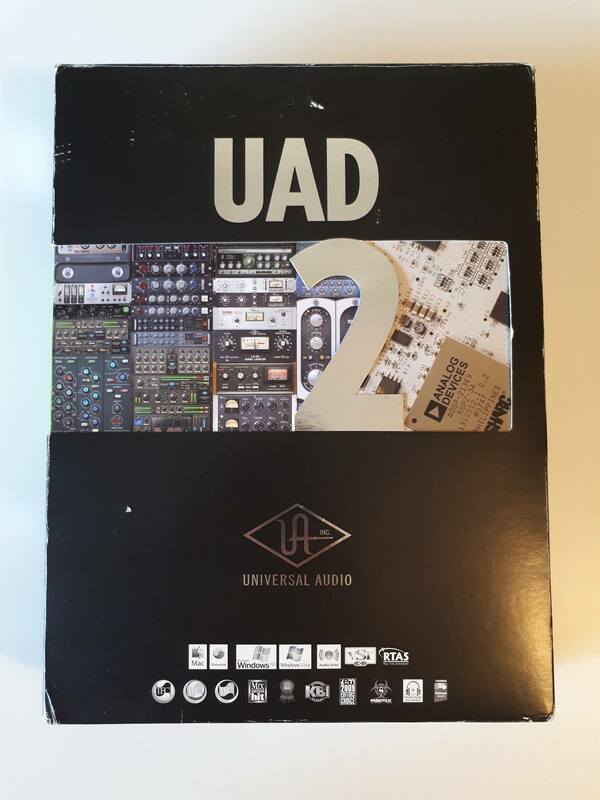 UAD is serious! There are often specials in DSUs do not hesitate. twang54's review (This content has been automatically translated from French)" My best investment"
Universal quality audio plugs, EMT 140, the compressor Fairchild, the beautiful 1176. This is a real killer! Really a great product, there is silence and there we collect! SSL in waves. I rediscovered my mix, I'll have to buy much earlier. 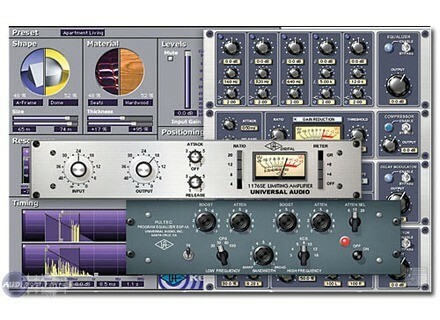 Universal Audio has announced the UAD-2 Powered Plug-Ins and PCIe DSP Accelerator Card for DAWs.